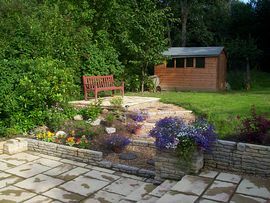 Peaceful and relaxing woodland surroundings. Welcoming and friendly with excellent quality and value. We welcome trades, business, students, holiday makers and will ensure your stay is enjoyable and memorable. We offer two comfortable rooms with TV and tea/coffee facilities. 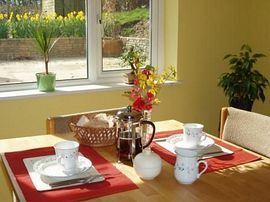 Breakfast will be served to your requirements, in our sunny breakfast room overlooking the garden and woodlands. Private off road parking is at your disposal and we offer lifts to and from the station, town and local area whenever possible. The village boasts an award winning restaurant and pub, 200 yards from The Rockery B and B. The beautiful little village Church offers two Sunday services (8.00 and 10.00 am). Stunning walks and the wildlife will delight the nature enthusiasts. Haslemere town holds a farmers' market on the 1st Suday of the month. The town museum displays, amongst many interesting artifacts, an egyptian Mummy complete with her mummified cat! 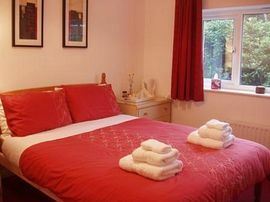 Double/twin room: from £55.00 per room per night. Smoking Facilities: Smoking is not allowed. Outside in the gardens. Twelve miles South of Guildford, on the A286, one mile North of Haslemere. With all trains stopping in Haslemere. 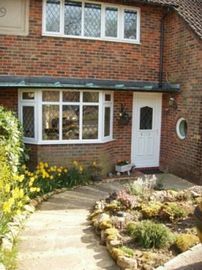 Operates in the village, five minutes walk from the B and B.